Inner package with cartons, outer package with wooden cases. 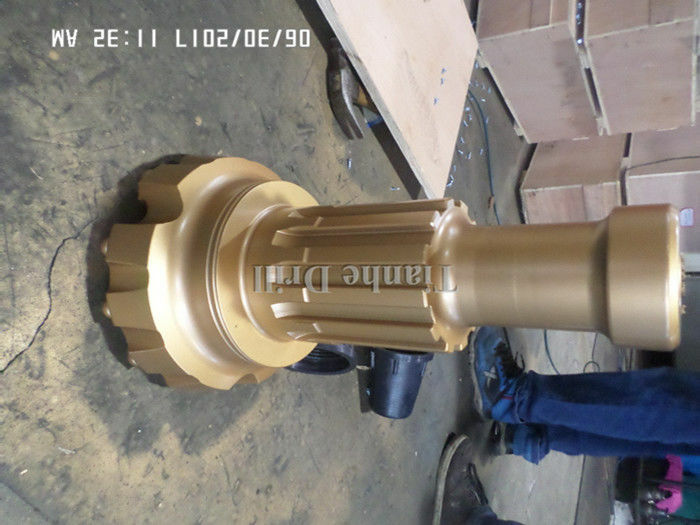 MISSION80-254mm rock drill bits widely used in blasting hole and water well drilling. The all-around application bit face specifically for medium hard and homogeneous rock formations. Good hole deviation control and good flushing capacity. For high penetration rates in soft to medium-hard with low to medium air pressures. It is the most resistance to steel wash, and may reduce theload and wear on the gauge buttons, but poor hole deviation control. This kind of face shape is suitable for hard to very hard and abrasive rock formations in applications with high air pressures. Good penetration rates an resistance to steel wash.